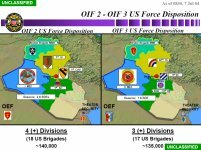 Beginning in July 2004, the United States began implementing the OIF 3 troop rotation. 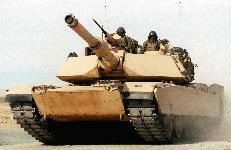 OIF-3 planned for troops numbers to be reduced from 140,000 to roughly 130,000. Under this plan the number of Army National Guard brigades in Iraq would increase during this rotation from three to five. More Guard Call-ups? On September 17, 2004 Congressman John Murtha stated that he had learned through conversations with officials at the Pentagon that at the beginning of November, 2004, the Bush Administration planned to call up large numbers of the military guard and reserves, to include plans that they previously put off to call up the Individual Ready Reserve. This would seem to make sense, given the unlikelihood that forces can be reduced to the 130,000 troops initially envisioned in the original OIF-3 mobilization plan.